Herbalix products are completely synthetic chemical and petroleum free. We do not use parabens,synthetic preservatives, phthalates, propylene, dyes, fillers, metals, sulfates or emulsifiers in anyof our products.From creams to dirty air and environmental toxins, what is absorbed through the skin is transportedthroughout the body. Our mission is to provide organic and natural alternatives to chemical andenvironmental irritants.We buy raw materials from proven suppliers that extract their oils without chemicals, using cleanprocessing methods. Many body care products are full of synthetic chemicals, many of which arederived from petroleum. Elizabeth earned a Bachelor of Science in Marketing Degree followed by an MBA in Materials Management. 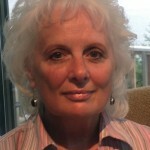 She worked for over thirty years in the medical and pharmaceutical industry. Her experience includes Purchasing, Planning & Distribution, Inventory Control and Customer Service. She managed small plant purchasing operations and product donations programs, getting critical medical supplies to disaster areas, low income families, special needs clinics, veterinary clinics, free clinics, Native American nations, national immunization drives, and blood banks. Elizabeth also designed training programs for in-house Customer Service personnel and established a product research library for a major pharmaceutical company.